Melinda Mangham is the Ascension Episcopal School All-School Academic Dean,and the Founder and Director of Mangham Academic Planning Strategy where she continues to advise students and help them in their academic careers. A life-long educator, Melinda has worked for over 40 years teaching English and advising middle and high school students throughout Louisiana. Melinda started her teaching career at Lee High School in Baton Rouge and later taught at Episcopal HS, Airline HS, Glen Oaks HS, Valley Park Middle School and St. James Episcopal Day School in Baton Rouge before moving to Lafayette where she taught at Lafayette HS until retiring in 2009. Her list of professional awards and affiliations attests to her active involvement in the community, especially in the area of education. She is a former member of the Ascension Episcopal School Board of Trustees and the Hospice of Acadiana Board of Directors. She has been named an Outstanding Educator by the University of Miami, Texas A&M, MIT, and the Illinois Institute of Technology, a White House Distinguished Teacher twice, and received the Coca-Cola Educator of Distinction Award. Melinda was recently appointed to the Louisiana Commission on College and Career Readiness by Governor John Bell Edwards. 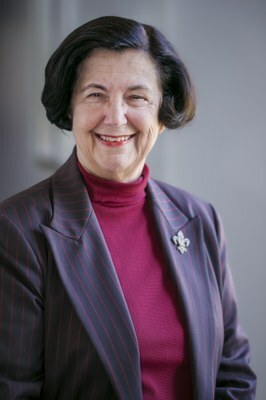 She also serves on the University of Louisiana – Lafayette Center of Gifted Education Advisory Board. Melinda is a proud LSU graduate and was married to the late Mickey Mangham. Her daughter, Elizabeth Mangham, lives in Baton Rouge and is president of Southern Strategies Management Consulting Group.